Today marks two years since I founded this region. Much has been accomplished in this time, but much still needs to be done. We have successfully established democracy in which every citizen's voice matters and in which justice prevails. We have created a network of partnerships with regions all over NationStates who are friendly, willing to offer assistance, and respectful of our own ideals and customs. We have established a community of role-players who enjoy building up their nations and formulating policies, all while using simple tools to assist them in making such activities realistic. There is a sense of acceptance in our community where even those we were once in conflict with can peacefully co-exist. Last, but not least, we have managed to build a small and capable army, there to protect us if things go wrong and give a lift to regions that aren't able to defend themselves. Despite our great successes in these areas, there are still things that must be improved on. For one, there seems to be a change of mindset that is needed. We are often quick to jump to conclusions without considering the consequences of doing so. While it has improved much from what it once was, there still is a great need for more people willing to serve in our government. If a region is to offer more and more things to its citizens, it must have more people willing to help run those things. Nevertheless, Force is a much better region today than it was a year ago. What is my vision for Force, you may ask? 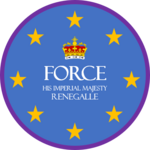 It is this: a large, influential, respected group of regions (with Force as the capital) that have a vibrant and interesting culture, an active and involved populace, a competent government, and many activities and events to get involved in. This dream is not as far off as you may think. It just takes a little extra work from everyone to make it happen. Happy Force Day! Hooray for Force! Happy Force Day!